Wadah Foundation and the Institute for Research and Community Service, Parahyangan Catholic University (LPPM-UNPAR) are planning on working together to develop the community of Arjasari Village through mentoring programs and community capacity building. This program will explore the potentials of local assets like farming corn, tomatoes and other assets outside of agriculture. This will include the development of small and medium enterprises (SMEs) as well as the embodiment of Arjasari Village as a tourism village. The Wadah Foundation, LPPM-UNPAR and the Arjasari Village Head held a meeting at the UNPAR campus on 30 September 2015 to follow up the MOU that has been entered into by Wadah Foundation and UNPAR. To realize this program, the three institutions will formulate the partnership in more detail by involving the entire community of Arjasari village. 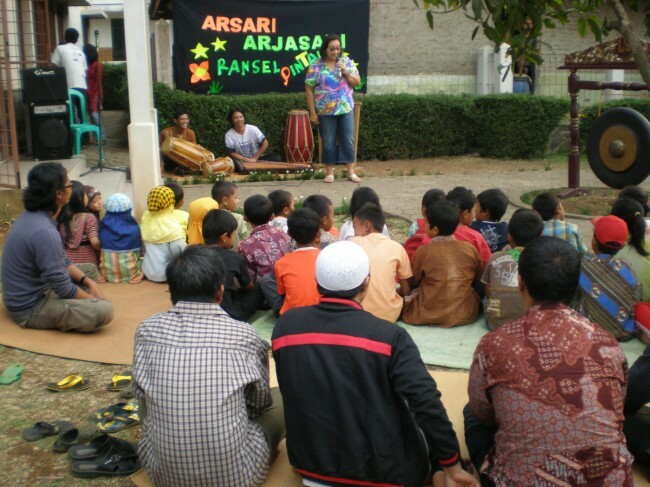 Mr. Rosiman, the Village Head of Arjasari, on behalf of the village government, has approved the cooperation program. The said meeting was attended by Mrs. Suka Djelantik and Mr. Gandhi Pawitan of UNPAR, the Village Head and Village Secretary of Arjasari and from Wadah Foundation – Mrs. Retnaning Tyas (Chairperson of Wadah), Paula Landowero, Alfredo Torno III, Yan Ghewa and Sophan Ajie. The three institutions are expected to agree on a Memorandum of Agreement (MOA) so that the community empowerment program may be implemented with more focus and clear target.